Dont Forget!! NEAP tennants get a nicely discounted fuel price. Call or radio 122.85 for more.Nightly and weekly hangar space is available to transient aircraft. Call for information. FIX ALL DISCREPANCIES: I always schedule my annual inspection for the Cub for late winter early spring to start off the "flying season" with all outstanding squawks and discrepancies repaired. 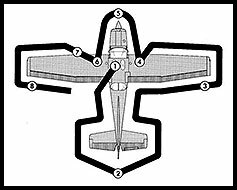 I consider the first flight after an annual a "test flight" and never take passengers on that flight,would never launch into IMC (if I had a machine capable of it) and always do a lenthy pre-flight as even the best IA-AP is human and a very likely time for a mechanical issue can be right after maintinance is preformed. I should say, I have never in my thirty years of flying much of it in Aerobatic planes/Antiques etc had an issue with my trusted IA-AP as they are meticulous but that being said I inspect all the work myself everytime and use the term "trust but verify". WATER IS FOR DRINKING: For our customers and friends in the tiedowns especially but this applies to all aircraft owners its critical to routinely inspect your fuel caps (everytime you fuel up) and replace immediately any worn or old gaskets or cracked caps.Look closely especially if they are plastic caps. SLOW DOWN: sometimes due to work schedules/personal schedules etc I have found myself rushing thru a preflight or a checklist. When you feel external non-flying pressures creep into your flying routine SLOW DOWN, look at the details.As we all know in aviation (or any mode of transport) the devil is in the details and the one overlooked critical item is often the first link in the accident chain. FIND A CFI: if your feel your skills have deteriotated,if your using 3000' of HWV's 4200' runways to land your C-172,if you're uncomfortable in crosswinds,with slow flight or stalls or going into short fields find a competent instructor who's familiar with your machine and get some dual instruction.